It’s been a long time coming, but more and gardeners are finally becoming interested in growing butterfly gardens. Eleven years ago, almost to the day, I posted a blog trying to encourage folks grow more plants that attract and sustain butterflies. I figure it’s time to revisit that subject again. Seed catalogs are arriving everyday in the mail now, both in my email inbox and in my outside mailbox. Almost all of them offer seeds for butterfly attracting plants. This blog is about plants that have flowers that the adult butterflies readily come to for nectar. An even more ambitious butterfly garden is one that includes plants that the larvae of butterflies need to eat, but that will have to be another blog. Butterflies are looking for flowers that have lots of nectar and a good landing platform for them to cling to. They also prefer small tubular flowers that are especially adapted to the butterflies’ proboscis, their specially shaped tongue that works like a straw. These tubular flowers cannot be too long or the butterfly cannot reach all the way down to the nectar which is usually at the base of the petals. Thyme; Valerian; Heliotrope; Asclepias incarnata (common name-Red Swallowwort); PhloxAllysum;Verbena, all the different kinds of verbena are good — Verbena bonariensis is very easy to grow here in Michigan; Thistle; Scabiosa; Columbine; Chrysanthemum; Herbs, many of them have good nectar flowers; Milkweed, attracts at least 17 different kinds of butterflies; Queen Anne’s Lace; Liatris, common name Gayfeather; Gaillardia; Butterfly Bush (of course); Echinacea purpurea, common name Purple Coneflower; Violets; Lilac; Yarrow; Rudbeckia hirta, common name Black Eyed Susan; Monarda, common name Bee Balm; Lupine; Marigold; Daisy; and Lavender. 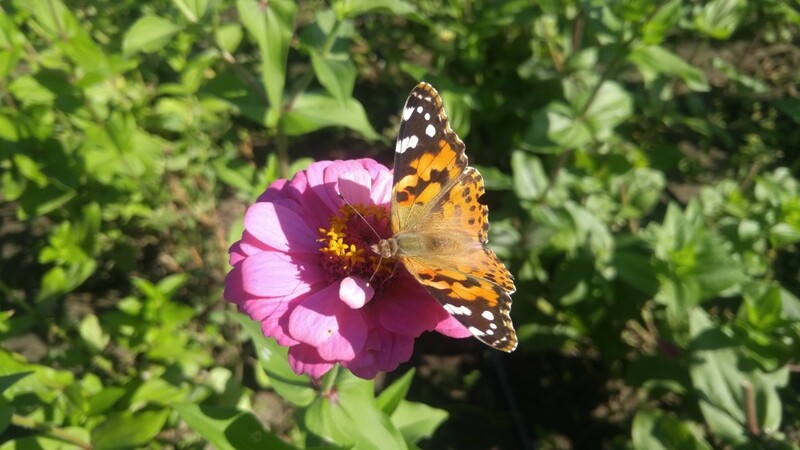 Zinnias flowers are attractive to butterflies, plus they keep blooming the entire growing season. Other things you will want to consider when you plant your garden is: 1) have a sunny site that is sheltered from the wind, butterflies get tossed around by a breeze fairly easily 2) provide a place for them to “puddle”. Have you ever noticed butterflies hanging around mud puddles? They are slurping up much needed dissolved minerals, sort of like a food supplement, that are not found in nectar. A shallow container of water containing sand and rocks allows butteries to land and puddle. Actually, even just a simple mud puddle is fine, just replenish it as it gets dry. This is the time of year I drag out all of my old seeds from last year and years before that. I always like to take inventory to see what I’ve got on hand before I order anything. We’re in the middle of winter and not all of the seed catalogs have arrived yet. 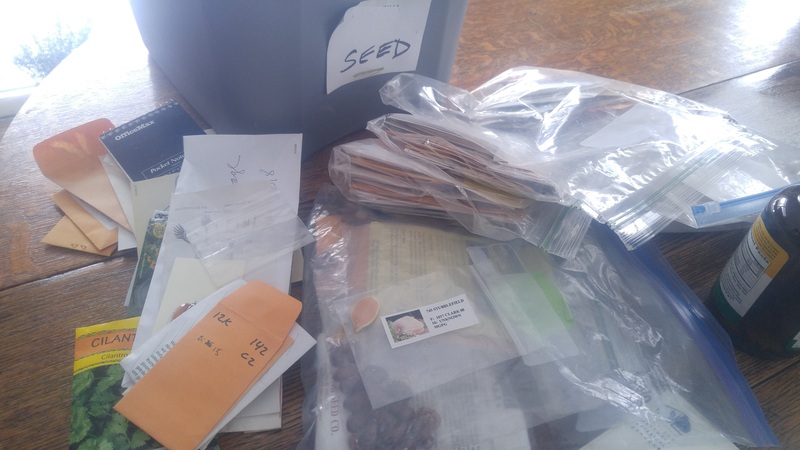 You would think that after all these years I would have come up with a better system for keeping track of my seeds since I have dozens of different varieties. You know maybe a spreadsheet, color-coded vials, a numbering system things like that, but I don’t. Some of my current seed collection. Seeds don’t last forever. 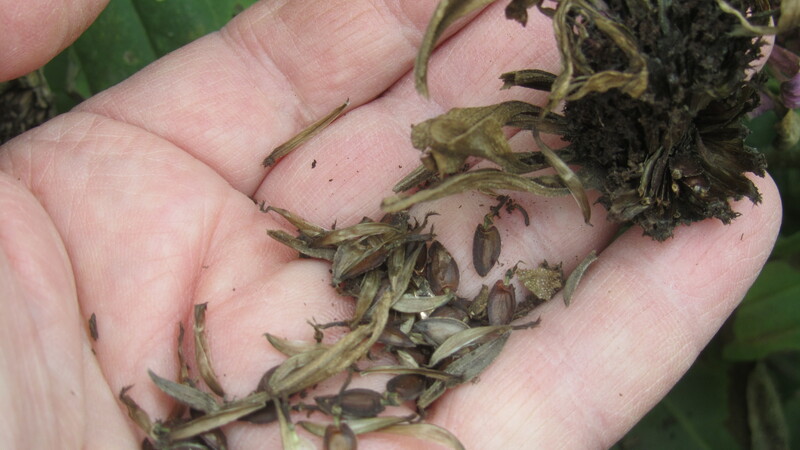 In rare cases however, seeds can germinate after decades or even centuries. One famous example is a Judean date palm seed that germinated and grew after 2000 years. Seeds that we use in the home garden typically last just a few years unless special steps are taken to preserve them. If they’re in an unopened, original envelop, they’ll have a better chance of remaining viable for longer periods of time. That’s the principle behind the survival seed kits that are sold on line. Seeds that are kept dry and in a cool place fare better than those that are exposed to moisture or heat. Located above the Arctic Circle on a remote island, the Svalbard Global Seed Vault takes seed saving to the extreme and is able to store seeds from around the world for expended periods of time. Home gardeners on the other hand, can only do so much. Most of the time we seal up our seeds the best we can and keep try to them away from temperature extremes. Here’s a chart I put together a while back that you can refer to when deciding whether or not to keep a particular type of seed. I’ve only included the more commonly planted food crops. This assumes that seeds are kept under typical conditions found in a home. Clip it out and save with your seeds. 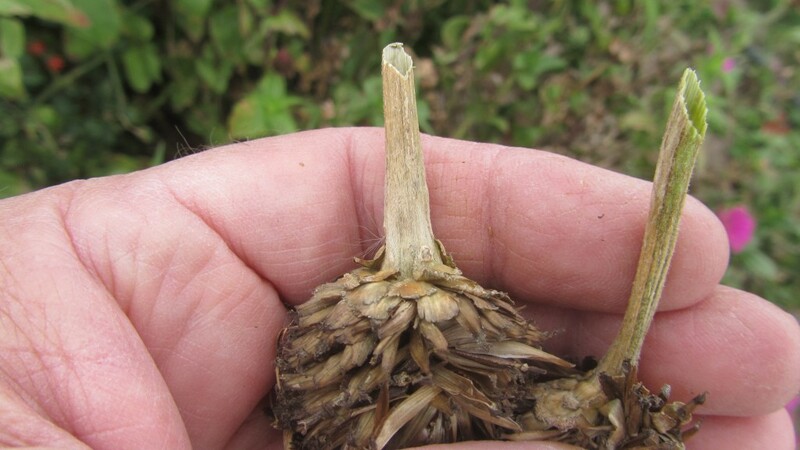 Many people believe that the larger the seed is the longer it will stay viable. Looking at the chart you can see that seed size is not a factor. Compare corn which are large seeds with celery seeds that are quite small. Corn can be stored only for two years before it loses viability while celery lasts five years. This gardening season, I adopted another unique heirloom seed to try to save from extinction. Currently, I’m saving four dry bean varieties that are not available commercially plus my own heirloom variety of tomato. Now I’m adding the first flower to my growing collection of heirlooms, a variety of zinnia. It was given to me by a gardener who I lost contact with. She never said what the variety name was; only that she had been saving them for many years. I believe she is no longer able to garden so it’s now up to me to keep the strain going. 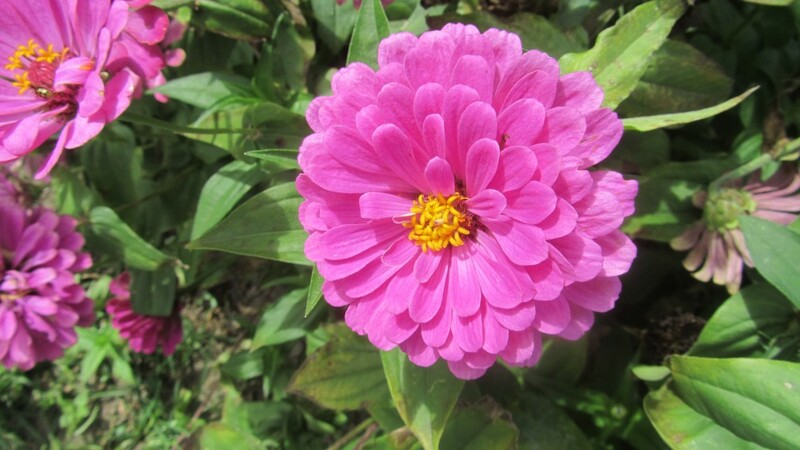 This variety has all pink flowers and is not a mix of colors. It probably started out that way a long time ago. The blossoms were about 4 inches across. I like to wait until the flowers are well dried before harvesting the seeds. The plants eventually grew to nearly four feet tall despite the fact that I sowed the seeds very thickly. I didn’t know what the germination rate would be but as it turned out, just about every seed germinated. I transplanted a lot of them into new rows. I eventually gave up on trying spacing them out since there were so many plants that I ran out of room. The remaining ones grew up to form a dense stand, almost like a hedge. 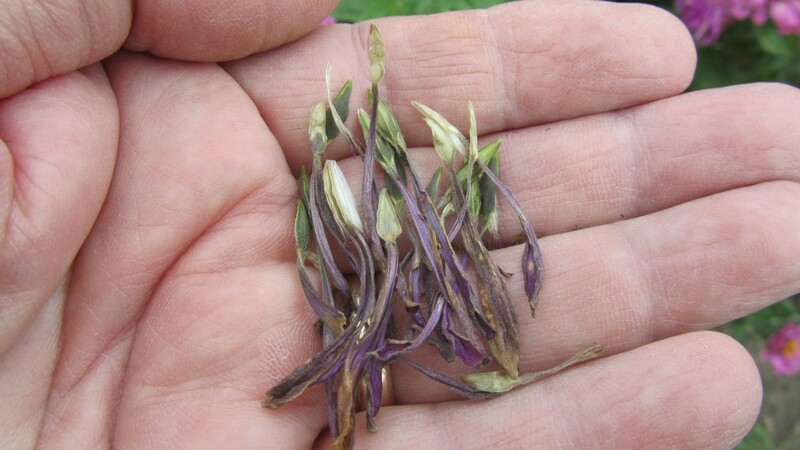 Once dried, the seeds easily separate from the petals. Like other zinnias, they responded well to cutting, the more I cut, the more flowers grew to take their place. I plan to keep the strain going and eventually give away seeds to other gardeners. After taking inventory of our seeds last week, we had to decide which seeds we were going to keep and which we needed to throw out. Each year we write the date on the seed containers, that gives us a starting point. Some seed packs slipped through our system though and had no date on them, just the variety name. Others were getting to be a few years old meaning they were approaching the out side limits of their shelf life. As seeds get older, their ability to germinate begins to decline. In many cases they still can be used even though they are past their prime. This week we are running germination tests on several types of seeds to see if they are something we would be able to use in the garden. A simple germination test is easy to do and gives you a pretty good idea if it’s worth keeping a pack of seeds. To do the test, pick ten seeds at random of one type of plant that we want to test, for example ten tomato seeds or ten onion seeds. Next take a moistened piece of paper towel. 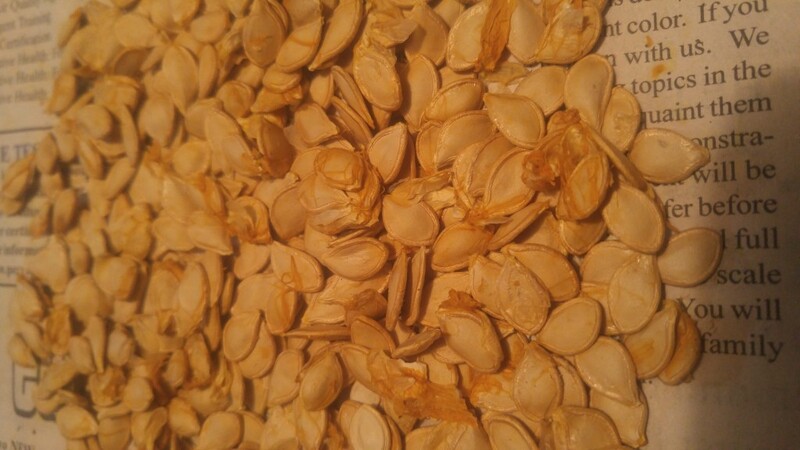 Place the seeds on the paper towel on half of the sheet and fold the sheet over to cover the seeds. The seeds and moist paper towel go in a zip-loc bag and are sealed up. Then put the bag in a warm place to help speed up germination, we use our plant warming mat. Seedlings are very fragile at this stage. Check the seeds every day to see if any are sprouting. If you have the original packet, it usually tells how long it takes for germination. 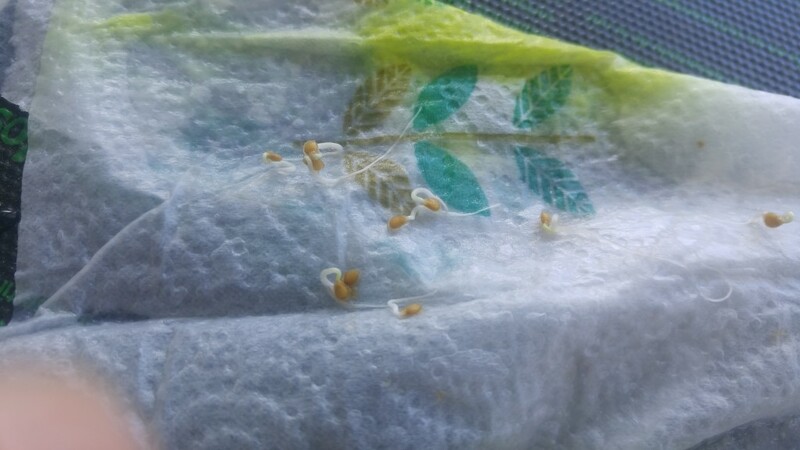 But when you use a warming mat with moist conditions inside the plastic bag, seeds usually sprout much quicker. The number of sprouted seeds gives you the germination percentage. For example, if eight of the ten seeds sprout, you have an 80% germination rate. The big surprise for us was an unmarked envelop of ‘Chadwick Cherry’ tomato seeds we found with the rest of our seeds. I don’t know where that envelop came from , maybe someone gave us some seeds a few years ago. We were expecting an low germination percentage but nine out of ten germinated. That was an excellent outcome and we’ll be growing those in the garden this season. On the other hand, a group of onions we were looking at only had one seed sprout, we’ll toss those into the compost. Too bad because it was a pretty big packet of seeds. Even if your seeds have a low germination percentage you can still use them, just plant extra seeds to make up the difference. For example if only half of your seeds germinate, plant double the amount. 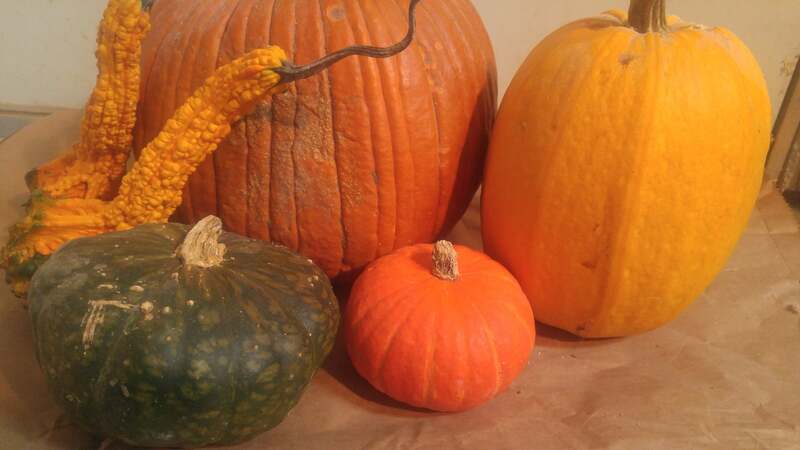 It’s true that you can buy fresh seeds of common varieties very cheaply. However, in our case we save quite a few heirloom and open-pollinated seeds that are not available anywhere else.Plus we don’t like to waste anything if it is still usable.